At the end of 2014, the new Lion Gorge exhibit at Zoos Victoria Melbourne site was officially opened to the public. In this exhibit there are not only the resident lion brothers on display but also African wild dogs and soon the Philippines crocodile will move in as well. 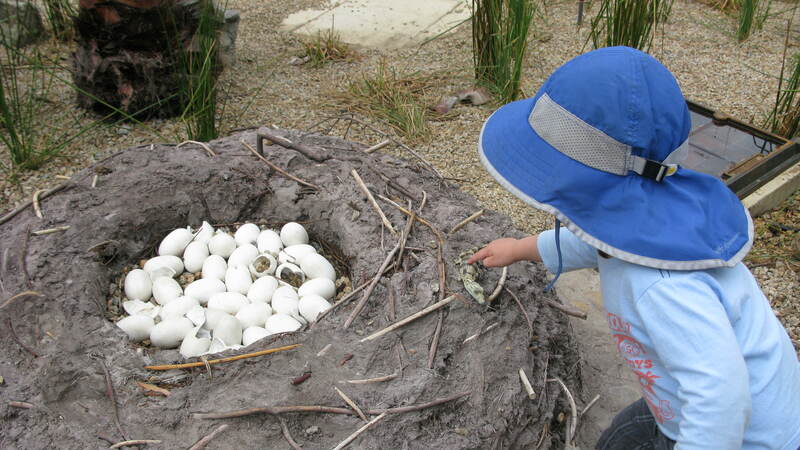 The whole exhibit is child friendly with panels of glass to make viewing easy for even the youngest visitors, a water play area, a look and find area and a model of a crocodile nest complete with eggs, hatchlings and audio of their cries. 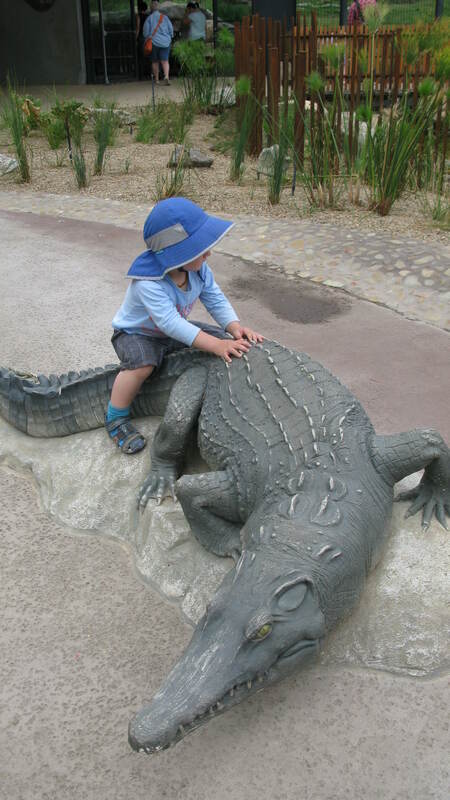 When we visited recently, Master 2 enjoyed finding the models of baby crocodiles scattered through the area near the water and giving them a pat while the model of the adult crocodile made an irresistible seat.